We demonstrate the retrieval of the amplitude and phase of an ultrashort optical pulse from an optical spectrogram obtained by optical spectrogram scope (OSS). OSS is an interferometric method of obtaining a single-shot optical spectrogram without nonlinear optical effects. Since the optical spectrogram obtained by OSS retains information on the amplitude and phase of a signal pulse, we can retrieve this information without an iterative inversion algorithm from the spectrogram. In our demonstration, we retrieved the quadratic variation of a spectral phase of a linear chirped ultrashort laser pulse from a mode-locked Ti:sapphire laser. © Anita Publications. All rights reserved. 1. Kane D J, Trebino R, IEEE J Quantum Electron, 29(1993)571. 2. Trebino R, Kane D J, J Opt Soc Am, A 10(1993)1101. 5. Linden S, Kuhl J, Giessen H, Opt Lett, 24(1999)569. 6. Konishi T, Ichioka Y, Opt Rev, 6(1999)507. 7. Chilla J L A, Martinez O E, Opt Lett, 16(1991)39. 8. Chilla J L A, Martinez O E, IEEE J Quantum Electron, 27(1991)1228. 9. Chu K C, Heritage J P, Grant R S, Liu K X, Dienes A, White W E, Sullivan A, Opt Lett, 20(1995)904. 10. Fittinghoff D N, Bowie J L, Sweetser J N, R.T.Jennings R T, Krumbugel M A, DeLong K W, Trebino R, Walmsley I A, Opt Lett, 21(1996)884. 11. Wong V, Walmsley I A, J Opt Soc Am, B 14(1997)944. 12. Iaconis C, Walmsley I A, Opt Lett, 23(1998)792. 13. Iaconis C, Walmsley I A, IEEE J Quantum Electron, 35(1999)501. 16. Weiner A M, International Trends in Optics and Photonics, ed Asakura T, (Springer-Verlag, Berlin), 1999, p 223. A watermarking scheme for phase-images based on optical asymmetric cryptography using gyrator transform is proposed. The phase and amplitude truncation approach is used during the encryption process to generate the decryption keys. A random amplitude mask is used in the input plane, whereas a random phase mask is used in the frequency plane. Validation results obtained through computer simulations show that the scheme is sensitive to the decryption keys and the orders of the gyrator transform. Performance metrics evaluated for the security analysis of the scheme are: information entropy, correlation, and robustness against the occlusion-, and noise attacks. The proposed scheme is significantly resistant to both these attacks and provides enhanced security due to its nonlinearity on account of asymmetric approach and phase-image input.© Anita Publications. All rights reserved. Keywords: Phase-images, Watermarking, Gyrator transform, Asymmetric keys, Occlusion and noise attack. 1. Schneier B, Appl Cryptograhy, 2nd Edn, (John Wiley, New York, USA), 1996. 2. Javidi B (Ed), Optical and Digital Techniques for Information Security, (Springer-Verlag), 2005. 3. Kishk S, Javidi B, Information hiding technique with double phase encoding, Appl Opt, 41(2002)5462-5470. 4. Cai L -Z, He M -Z, Liu Q, Yang X -L, Digital image encryption and watermarking by phase-shifting interferometry.Appl Opt, 43(2004)3078-3084. 5. Matoba O, NomuraT, Perez-Cabre E, Millan M S, Javidi B, Optical techniques for information security, Proc IEEE, 97(2009)1128-1148. 6. Chen W, Javidi B, Chen X-D, Advances in optical security systems, Adv Opt Photon, 6(2014)120-155. 8. Guo J, Liu Z, Liu S, Watermarking based on discrete fractional random transform. Opt Commun, 272(2007)344-348. 10. Singh N, Sinha A. Digital image watermarking using gyrator transform and chaotic maps, Optik, 121(2010)1427-1437. 11. Liu Z-j, Xu L, Guo Q, Lin C, Liu S-t, Image watermarking by using phase retrieval algorithm in gyrator domain, Opt Commun, 283(2010)4923-4927. 13. Nishchal N K, Hierarchical image watermarking using fractional Fourier domain random phase encoding, Opt Eng, 50(2011)097003-1/7. 14. Deng K, Yang G, Xie H, A blind robust watermarking scheme with non-cascade iterative encrypted kinoform, Opt Exp,19(2011)10241-51. 17. Qin W, Peng X, Asymmetric cryptosystem based on phase-truncated Fourier transforms, Opt Lett, 35(2010)118-120. 18. Chen W, Chen X. Optical color image encryption based on an asymmetric cryptosystem in the Fresnel domain, Opt Commun, 284(2011)3913-3917. 20. Rajput S K, Nishchal N K, Image encryption based on interference that uses fractional Fourier domain asymmetric keys, Appl Opt, 51(2012)1446-1452. 24. Liu W, Liu Z-J, Liu S-t. Asymmetric cryptosystem using random binary phase modulation based on mixture retrieval type of Yang-Gu algorithm, Reply, Opt Lett, 38(2013)4045.
random amplitude mask, Opt Lett, 38(2013)3684-3686. 30. Wang X, Zhao D, Chen Y, Double-image encryption without information disclosure using phase-truncation Fourier transforms and a random amplitude mask, Appl Opt, 53(2014)5100-5107. 31. Abuturab M R, An asymmetric single-channel color image encryption based on Hartley transform and gyrator transform, Opt Lasers Eng ,69(2015)49-57. 32. Liu W, Xie Z, Liu Z, Zhang Y, Liu S, Multiple-image encryption based on optical asymmetric key cryptosystem, Opt Commun, 335(2015)205-211. 34. Javidi B, Sergent A, Fully phase-encoded key and biometrics for security verification, Opt Eng, 36(1997)935-942. 35. Towghi N, Javidi B, Luo Z, Fully phase encrypted image processor, J Opt Soc Am, A16(1999)1915-1927. 37. Tan X, Matoba O, Shimura T, Kuroda K Javidi B, Secure optical storage that uses fully phase encryption, Appl Opt, 39(2000)6689-6694. 38. Nishchal N K, Joseph J, Singh K, Fully phase encryption using fractional Fourier transform, Opt Eng, 42(2003) 1583-1588. 40. Nishchal N K, Joseph J, Singh K, Fully phase encrypted memory using cascaded extended fractional Fourier transform, Opt Lasers Eng, 42(2004)141-151. 43. Rodrigo J A, Alieva T, Calvo M L. Gyrator transform: properties and applications, Opt Exp,15(2007)2190-2203. 44. Rodrigo J A, Alieva T, Calvo M L, Applications of gyrator transform for image processing, Opt Commun, 278(2007)279-284. 45. Liu Z-j, Yang M, Liu W, Li S, Gong M, Liu W, Liu S-T. Image encryption algorithm based on the random local phase encoding in gyrator transform domain, Opt Commun, 285(2012)3921-3925. 47. Abuturab M R, An asymmetric color image cryptosystem based on Schur decomposition in gyrator domain, Opt Lasers Eng, 58(2014)39-47. 48. Pei S-c, Ding J-j. Properties, digital implementation, applications, and self-image phenomena of the gyrator transform. 17th Europ. Signal Process. Confer. (EURASIP, 2009), Glasgow, Scotland, August 24-28, 2009: 441-445. 49. Shannon C E, A mathematical theory of communication, Bell Systems Technical Journal, 27(1949)623-656. 50. Yu FTS. Entropy and Information Optics, (Marcel Dekker Inc. New York), 2000. 52. Helstrom C W, Statistical Theory of Signal Detection (Pergamon Press, US), 1968.
interferometry and neighboring pixel value subtraction algorithm in the discrete-cosine-transform domain, Appl Opt, 46(2007)4694-4701. 54. Joshi M, Shakher C, Singh K, Color image encryption and decryption for twin images in fractional Fourier domain, Opt Commun, 281(2008)5713-5720. Fourier encoding architecture, Opt Laser Eng, 48(2010)605-615. Talbot diffraction and Fourier filtering are incorporated into a degenerate laser cavity to obtain efficient phase locking of hundreds of lasers in a controlled manner. The addition of second harmonic generation converts an array of lasers with out-of-phase distribution into one with in-phase distribution, so the output light can be tightly focused. Simulated and experimental results for square laser arrays are presented. © Anita Publications. All rights reserved. Keywords: Laser arrays; phase locking; Talbot and Fourier filtering; nonlinear optics. 1. Ishaaya A A, Davidson N, Shimshi L, Friesem A A, Appl Phys Lett, 85(2004)2187 85(2004)2187. 2. Liang W, Satyan N, Aflatouni F, Yariv A, Kewitsch A, Rakuljic G, Hashemi H, J Opt Soc Am B, 24(2007)2930. 3. Sabourdy D, Kermene V, Desfarges-Berthelemot A, Lefort L, Barthelemy A, Even P, Pureur D, Opt Exp,11(2003)87. 4. Acebrón J A, Bonilla L L, Perez Vicente C J, Ritort F, Spigler R, Rev Mod Phys, 77(2005)137. 5. Strogatz S H, Abrams D M, McRobie A, Eckhardt B, Ott E, Nature, 438(2005)43. 6. Fabiny L, Colet P, Roy R, Lenstra D, Phys Rev A, 47(1993)4287 47(1993)4287. 7. Nixon M, Ronen E, Friesem A A, Davidson N, Phys Rev Lett, 110(2013)184102. 8. Strogatz S H, Nature, 410(2001)268. 9. Nixon M, Fridman M, Ronen E, Friesem A A, Davidson N, Kanter I, Phys Rev Lett, 106(2011)223901. 10. Watts D J, Strogatz S H, Nature, 393(1998)440. 11. Glova A F, Quantum Electron, 33(2003)283. 12. Leger J R, Phys Lett, 55(1989)334. 13. D'Amato F X, Siebert E T, Roychoudhuri C, Appl Phys Lett, 55(1989)816. 14. Jeux F, Desfarges-Berthelemot A, Kermène V, Barthelemy A, Laser Phys Lett, 11(2014)095003. 15. Rediker R H, Schloss R P, Van Ruyven L J, Appl Phys Lett, 46(1985)133. 16. Tradonsky C, Nixon M, Ronen E, Pal V, Chriki R, Friesem A A, Davidson N, Photonics Res, 3(2015)77. 17. Boyd R W, Nonlinear Optics, (Academic Press), 2008. 18. Sanagi M, Yano K, Fujimori K, Nogi S, Electron Commun Japan, (Part II Electronics), 89(2006)39. 19. Li X, Xiao H, Dong X-L, Ma Y-X, Xu X-J, Chinese Phys Lett, 28(2011)094210. 20. Arnaud J A, Appl Opt, 8(1969)189. 21. Mehuys D, Streifer W, Waarts R G, Welch D F, Opt Lett, 16(1991)823. 22. Talbot H F, LXXVI Facts relating to optical science. No. IV. Philos Mag Ser, 39(1836)401. A system of two identical spherical mirrors has many practical applications. They are used, for example in systems to image the retina of the eye using adaptive optics, in lithography and in many optics experiments. The image of a small object has to be as good as possible. The image is either small or just a point. However, the necessary tilts of the mirrors make the point objects and image off-axis points. Here, we describe the coma and astigmatism in these systems. © Anita Publications. All rights reserved. Keywords: Coma and astigmatism, Lithography, Spherical aberration, Coma aberration, Optical design. 1. Malacara-Hernández D, Malacara-Hernández Z, Handbook of Optical Design, (CRC Press, Taylor and Francis Group, Boca Raton), 2013. 2. Gómez-Vieyra A, Malacara-Hernández D, Geometric Theory of Wavefront Aberrations in an Off-Axis Spherical Mirror, Appl Opt, 50(2011a)66-73. 3. Gómez-Vieyra A, Malacara-Hernández D, Methodology for Third-Order Astigmatism Compensation in Off-Axis, Appl Opt, 50 (2011b)1057-1064. To realize high resolution 3D video display without the need of wearing glasses, a huge amount of 3D spatial information is normally required. For a 3D display with smooth motion parallax similar to the holographic stereogram, the size of the virtual viewing slit should be smaller than the pupil size of eye at the largest viewing distance. To achieve high resolution and minimize 3D information necessary for eyes in order to relax requirements on display devices and reduce processing time, two glass-free 3D display systems with rear and front projection are presented. The systems are based on the space multiplexing with a micro-projector array and specially designed 3D diffuse screens with the size about 1.8 m×1.2 m. The displayed clear depths are larger than 1.5m. The flexibility in terms of digitized recording and 3D diffuse screen based reconstruction relieves the limitations of conventional 3D display technologies, and fully continuous, natural 3D display is realized. Good aberration suppression and low cross talk have been achieved in both proposed display systems.© Anita Publications. All rights reserved. 1. Moller C, Travis A, Proc SPIE, 5664(2005)150. 2. Xia X, Liu X, Li H, Zheng Z,Wang H, Peng Y, Shen W, Opt Exp, 21(2013)11237. 3. Sang X, Fan F, Jiang C, Choi S, Dou W, Yu C, Xu D, Opt Lett, 34(2009)3803 34(2009)3803. 4. Sang X, Fan F, Choi S, Jiang C, Yu C, Yan B, Dou W, Opt Eng, 50(2011)091303. 5. Benton S A, Proc SPIE, 367(1982)15. 6. Li Y, Abookasis D, Rosen J, J Opt Soc Am A, 20(2003)1537 20(2003)1537. 7. Wang P, Xie S, Sang X, Chen D, Li C, Gao X, Yu X, Yu C, Yan B, Dou W, Xiao L, Opt Commun, 354(2015)321 354(2015)321. In this paper, an alignment free all solid state multiplexed holographic memory system is presented. The system consists of a KTN based electro-optic (EO) beam deflector and a Fe:LiNbO3 photorefractive (PR) crystal. The KTN beam deflector is used to control the direction of reference beam and the Fe:LiNbO3 PR crystal is harnessed to record the volume hologram. The angularly multiplexed hologram is realized by recording hologram with different directions of reference beam via adjusting the voltage applied on the KTN beam deflector. The major advantages of this unique holographic memory system are free of mechanical vibration and high scanning speed. Such a unique multiplexed holographic recording system can be widely used in massive holographic storage, real-time automatic target recognition, 3D holographic display, etc. 1. van Heerden P J, "Theory of optical information storage in solids, Appl. Opt, 2(1963)393-400. 2. Mok F H, Angle-multiplexed storage of 5000 holograms in lithium niobate, Opt Lett, 18(1993)915-917.
storage with megabit pages, Opt Lett, 22(1997)1509-1511. 4. Anderson K, Curtis K, Polytopic multiplexing, Opt Lett, 29(2004)1402-1404. 5. Kogelnik H, Coupled wave theory for thick hologram gratings, Bell Syst Tech J, 48(1969)2909-2947. 6. 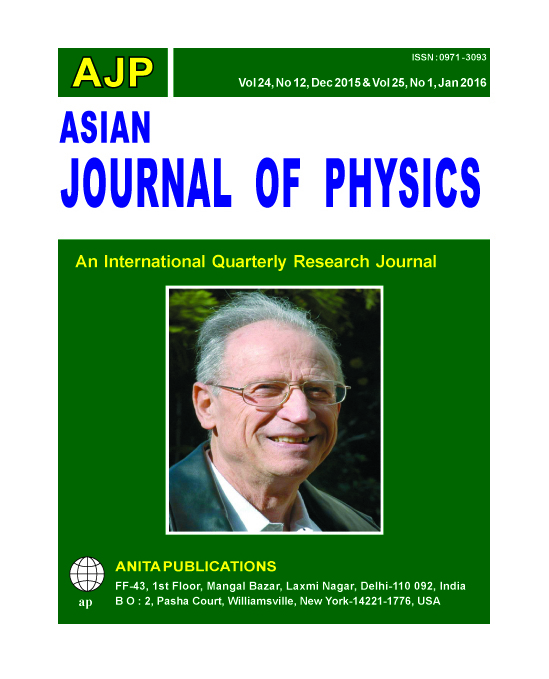 Zheng T, Cao L, Li C, He Q, Jin G, Polarized, phase-encoded and 2D angular multiplexed volume holographic correlator, J Opt, 16(2014)055405.
wavelength-multiplexed holograms, Opt Lett, 40(2015)2810-2813. 8. Francis T, Wu S, Mayers A W, Rajan S, Wavelength multiplexed reflection matched spatial filters using LiNbO3, Opt Commun, 81(1991)343-347.
schedule, Jpn J Appl Phys, 52(2013)09LD01 . 12. Triebwasser S, Method of preparation of single crystal ferroelectrics, U.S. patent 2,954,300 (September 1960). 13. Geusic J, Kurtz K, Van Uitert L, Wemple H, Eletro-Optic Properies of Some AB03 Perovsktes in the Paraelecric Phase, Appl Phys Lett, 4(1964). 14. Chang Y.-C, Wang C, Yin S, Hoffman R C, Mott A G, Giant electro-optic effect in nanodisordered KTN crystals, Opt Lett, 38 (2013)4574-4577. 17. Fox A, Nonlinear longitudinal KTN modulator, Appl Opt, 14(1975)343-352.
pulling and LPE growth of KTa1-xNbxO3 for optical waveguides, J Cryst Growth, 275(2005)e2099-e2103. 20. Imai T, Sasaura M, Nakamura K, Fujiura K, Crystal growth and electro-optic properties of KTa1-xNbxO3, NTT Tech Rev, 5(2007)1-8.
electro-optic modulator with novel KTa1-xNbxO3 crystal waveguides, Jpn J Appl Phys, 43(2004)5862-5866.
crystals, Appl Phys Exp, 4(2011)111501. KTN crystals, Opt Exp, 21(2013)17760-17768.
effect, in SPIE Optical Engineering+ Applications, (International Society for Optics and Photonics, 2014), p. 92000X-92000X. 26. Sakamoto T, Toyoda S, Ueno M, Kobayashi J, High-speed optical beam scanning using KTN crystal, in CPMT Symposium Japan (ICSJ), 2014 IEEE (IEEE, 2014), pp. 173–176. Applications, (International Society for Optics and Photonics, 2015), p. 95860W–95860W. Engineering+ Applications, (International Society for Optics and Photonics, 2015), p 95860T-95860T. 29. Heanue J F, Bashaw M C, Hesselink L, Volume holographic storage and retrieval of digital data, Science, 265(1994)749-752. 30. Wu S, Song Q, Mayers A, Gregory D A, Yu F T, Reconfigurable interconnections using photorefractive holograms, Appl Opt, 29 (1990)1118-1125. In this paper, an in-line configuration for recording digital holograms is presented. The configuration is based on a two-lens spatial filtering system, in which a spatial light modulator (SLM) is used as a phase-shifting device in the Fourier plane. The holograms are digitally recorded, and the reconstruction is performed using a computer. In this type of systems, phase-shifting is commonly performed at the central region of the Fourier plane, assuming components of sufficient intensity at the lower frequencies. However, this assumption may not hold in general. Therefore, the use of other regions of the Fourier plane for phase-shifting is suggested, depending on the specific case. The results demonstrate that in certain cases, one cannot successfully record a hologram using the central region of the Fourier plane; using a different region, however, easily reveals the complex amplitude information of the recorded wavefront. © Anita Publications. All rights reserved. The multi-spectral three-dimensional (3D) imaging has been demanded in a variety of fields. In the interferometric measurement, a set of spectral components of 3D images, that is, multi-spectral 3D images can retrieve from the 3D spatial coherence function that described spatial correlation of the light. The authors explain the principle of the Fourier-transform spectral imaging technique and an overview of the method for measurement of spatial coherence function. Furthermore, authors report the recent progress in the fields associated with this technique. © Anita Publications, All rights reserve. © Anita Publications. All rights reserved. Anamorphic Lohmann’s first type system with a non-orthogonal cylindrical doublet. 1Departamento de Óptica y de Optometría y Ciencias de la Visión. Facultat de Física. Universitat de Valencia, C/Doctor Moliner 50, 46100 Burjassot, Spain. 2Departamento de Ciencia de Materiales, Óptica, y Tecnología Electrónica, Universidad Miguel Hernández, 03202 Elche, Spain. 3Faculty of Engineering and the Nano Technology Center, Bar-Ilan University, Ramat-Gan 52900, Israel. A non-orthogonal cylindrical doublet is equivalent to a virtual orthogonal doublet, rotated an angle φ with regard to the original coordinate axes. This angle is a function of the angle α between the cylinder axes of the original doublet and of its focal lengths, as well as of the original orientation of the doublet. Likewise, the focal lengths of the virtual doublet depend on the focal lengths of the original doublet and on the angle α.This property can be used to deal with an anamorphic Lohmann’s first -type system(propagation –lens – propagation), where the cylindrical doublet is placed at the same distance from the input and the output planes to obtain a fractional Fourier transform. In this paper, as an application, we propose to use two such systems in cascade to perform double random phase encryption.To introduce different fractional orders in two orthogonal directions and at the same time a rotation of the equivalent system, we only need to rotate one lens of the non-orthogonal doublet in each sub-system.Simulations have been carried out to substantiate the feasibility of the proposed encryption system. Results when angular errors are introduced in each of the sub-systems are shown. The integration of a photonic crystal fiber and surface enhanced Raman scattering (SERS) into a compact detection system is an important step toward the practical applications of SERS in chemical and biological sensing, environmental monitoring, and security alert. In this paper, we review some of our efforts in developing a compact sensor system that integrates various novel components to achieve compactness, high sensitivity, consistency, molecular specificity, and automatic preliminary identification. Throughout the review we point out the advantages of this technology as well as challenges in both chemical and photonic engineering, and hopefully shed some light to future endeavors. Keywords: Fiber sensors, Surface enhanced Raman scattering (SERS), Molecular detection, Nanoparticles, Photonic crystals fibers, SERS probes, Matched spectral filter, Holographic spectral filter. In order to reduce glare problems and design a luminaire with uniform light distribution, we usually use diffusers to modulate the luminaire. The scattering distribution of diffusers is an important factor in the lighting design. Commercial detectors often measure the bidirectional scattering distribution function (BSDF) by a scanning and time-consuming method. We have proposed screen imaging synthesis (SIS) system in 2012, and it can easily measure the bidirectional transmittance distribution function (BTDF). In this paper, the optimized formula is presented to correct the vignetting effect and scattering effect caused by the screen. A quasi-Lambertian screen is made to enhance precision. Finally, we combine the SIS system with the rotation controller, and a semi-automatic measuring machine is built. The SIS generation can measure BSDF of the samples precisely and easily. This system helps to analyze the characteristic of scattering samples quickly. © Anita Publications. All rights reserved. Keywords: Bidirectional scattering distribution function (BSDF); Screen imaging synthesis;. The transfer matrix method is used to rigorously analyze second and third harmonic generation in nonlinear photonic bandgap structures. This technique, which has been developed for the undepleted pump case, is exact and can predict the exact distribution of the fundamental and its harmonic within and outside the photonic bandgap structure. It is shown that the conversion efficiency is maximized when the location of the harmonic is near the peak of the band edge of the transmission of the structure. It is also shown that oblique incidence may sometimes be necessary for maximizing the conversion efficiency. © Anita Publications. All rights reserved. Recent research has proven that if the intensity profile of a source image is down-sampled with a uniform grid-cross sampling lattice and converted into an off-axis Fresnel hologram, the hologram pixels can be quantized into a bi-level (binary) representation with only moderate amount of degradation on the reconstructed image. Despite the success of this approach, the reconstructed image is modulated with a repetitive textural pattern which are visually unappealing. In this paper, we report a method to enhance, through the adoption of ASCII-art mapping, the artistic appearance of the reconstructed image. A binary hologram generated with our proposed method is referred to as an ASCII-art binary hologram (AABH). Experimental results demonstrates that an AAB hologram is capable of reconstructing the source image favorably, and with artistic effect that imparts an interesting and pleasant appearance. © Anita Publications. All rights reserved. Keywords: Computer-generated hologram, hologram binarization, grid-cross lattice down-sampling, ASCII art. Three-dimensional (3D) information capturing and reconstructions is more and more important in recent years. In this paper, some issues of the reconstruction of 3D information by integral imaging were discussed theoretically and experimentally. To overcome the low accuracy of 3D reconstruction, a statistics-based reconstruction method with high random-error tolerance for integral imaging was proposed. To evaluate the reconstruction of integral imaging, the lateral and depth resolutions were derived quantitatively and their distribution features in image space was demonstrated. © Anita Publications. All rights reserved. Spin optics provides a route to control light, whereby the photon helicity (spin angular momentum) degeneracy is removed due to a geometric gradient onto a metasurface. The alliance of spin optics and metamaterials offers the dispersion engineering of a structured matter in a polarization helicity–dependent manner. We show that polarization-controlled optical modes of metamaterials arise where the spatial inversion symmetry is violated. The emerged spin-split dispersion of spontaneous emission originates from the spin-orbit interaction of light, generating a selection rule based on symmetry restrictions in a spin-optical metamaterial. The inversion asymmetric metasurface is obtained via anisotropic optical antenna patterns. This type of metamaterial provides a route for spin-controlled nanophotonic applications based on the design of the metasurface symmetry properties. Further, we present a generic concept to control multifunctional optics by disordered (random) gradient metasurfaces with a custom-tailored geometric phase. This approach combines the peculiar ability of random patterns to support an extraordinary information capacity and the polarization helicity control in the geometric phase mechanism, simply implemented in a two-dimensional structured matter by imprinting optical antenna patterns. By manipulating the loc al orientations of the nanoantennas, we generate multiple wavefronts with different functionalities via mixed random antenna groups, where each group controls a different phase function. Disordered gradient metasurfaces broaden the applicability of flat optics, as they offer all-optical manipulation by multitask wavefront shaping via a single ultrathin nanoscale photonic device. Moreover, observation of optical spin-controlled modes from a quasicrystalline metasurface as a result of an aperiodic geometric phase induced by anisotropic subwavelength structure is presented. When geometric phase defects are introduced in the aperiodic structured surface, the modes exhibit polarization helicity dependence resulting in the optical spin-Hall effect. The radiative thermal dispersion bands from a quasicrystal structure are studied where the observed bands arise from the optical spin-orbit interaction induced by the aperiodic space-variant orientations of anisotropic antennas. The optical spin-flip behavior of the revealed modes that arise from the geometric phase pickup is experimentally observed within the visible spectrum by measuring the spin-projected diffraction patterns. © Anita Publications. All rights reserved. The performance of image processing is limited at speed and accuracy when using traditional electronic microprocessors. One alternative solution is parallel optical image processing. Based on the Bragg selectivity of the volume gratings, the volume holographic correlator (VHC) can store multiple images in a common volume of the photorefractive crystal using angular multiplexing. As for the correlation, all the correlation results between the input search argument and the stored images can be acquired simultaneously. And each correlation result is determined by the intensity of the corresponding correlation spot. Parallel processing ability with more than 7500 channels and processing speed up to 138 GHz have been achieved in current portable VHC system. The remote sensing image matching is demonstrated as a potential application of the VHC. © Anita Publications. All rights reserved. Keywords: Volume holographic correlator, Image processing, Pattern recognition, Nanoparticles, Photorefractive crystal. Due to nonlinear detection of projected fringes patterns on an object surface, non-sinusoidal fringe profile is detected. Amplified phase distribution of the fringe pattern is calculated using phase at higher harmonic frequency of fringe spectrum. Theoreical consideration and experimental verification of increase of measurement sensitivity are presented. In the paper, three instances are reviewed of application of Monte Carlo methods for synthesis and simulation of wave fronts: (i) computer generation of phase-only display holograms (kinoform) and of optical diffusers with prescribed directivity patterns; (ii) computer synthesis of Fourier hologram of 3D objects that are capable of visualizing objects’ shape by means of simulating treatment of light and shade (chiaroscuro) in painting 3D bodies widely used by artists to achieve a sense of volume; (iii) simulation and statistical characterization of speckle noise that emerges when observing objects illuminated by coherent radiation and is caused by distortions in recording and reconstruction of objects’ wave fronts. The field of photonics finds applications in information technology, health care, lighting, and sensing. Dense photonic integration requires miniaturization of materials, devices and subsystems, including passive components (e.g., engineered composite metamaterials, filters, etc.) and active components (e.g., lasers, modulators, detectors). This paper discusses design, fabrication and testing of nanoscale light emitters constructed using metal-dielectric-semiconductor resonators confined in all three dimensions and operating at room temperature. © Anita Publications. All rights reserved. In this article, we show the mythical relationship between science and information. Since every substance has a price-tag or price-tags of information which includes all the building blocks in our universe, one cannot simply ignore information when dealing with science. We have shown that there is a profound connection between information and entropy, a quantity that has been well accepted in science. Without this connection, information would be more difficult to apply in science. Two of the most important pillars in modern physics must be the Einstein’s relativity theory and the Schrödinger’s quantum mechanics. We show that there exists a profound relationship between them, by means of the uncertainty principle. In due of uncertainty relation, we show that every bit of information takes time and energy to transfer, to create and to observe. Since one cannot create something from nothing, we show that, anything to be created needs a huge amount of energy and requires a great deal of entropy to make it happen! My question is that, can we afford it? © Anita Publications. All rights reserved.